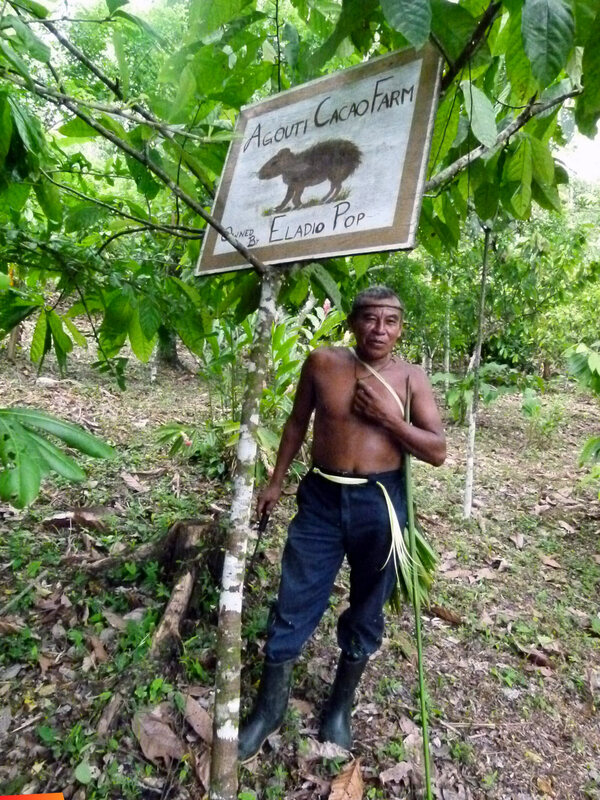 In an unspoiled corner of southern Belize, Eladio Pop, and owner of Agouti Cacao Farm, lives in the tradition of his Maya ancestors: as a steward of the land. 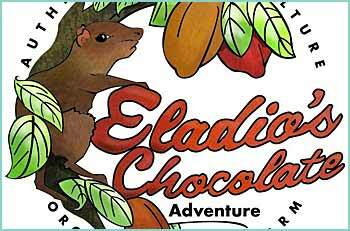 The Eladio Pop family providing the tour “Eladio’s Chocolate Adventure” seeks to protect and promote the ancient Maya way of life as shown in the full-length documentary, The Chocolate Farmer. The farm, in the village of San Pedro Columbia, Belize is located within sight of the historic Maya temple Lubaantun. Eladio has an amazing knowledge of the symbiotic relationship of the creatures and plants on his farm and speaks passionately about his family and community. Eladio is regarded as a local legend for companion planting and organic farming. Walking through the farm as Eladio explains and demonstrates the relationship of the animals and trees which fill the landscape of his beautiful land, gives you a sense of appreciation for the labor of his work. The vibrant machete-manicured landscape is Eladio’s backdrop for his emotional message about the loss of appreciation for traditional organic farming and concerns for his community’s well-being. Coupled with these concerns is another message of doing what you believe in, work hard because of those beliefs and help others to make a better community.